We provide soundproof enclosures for industrial solutions. With high-grade material like the 16SWG sheets at our disposal, we stand among the brightest solution providers at soundproofing in the domestic industry. Our products are marked by high end finishing and engineering. AE is among the top slot holders when it comes to Sound Control Enclosures. Fabricated using high-grade raw materials such as 16 SWG CRC, our units come designed to meet all weather conditions. The engineering of our acoustic enclosure is open to customization for a better handling of the machine noise. 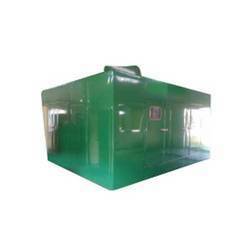 We also provide our enclosure with special features that different with different applications. For Anti Dropping Effect, vinyl sheet of 3 mm thickness is pasted inside the outer wall. Looking for Soundproof Enclosures ?